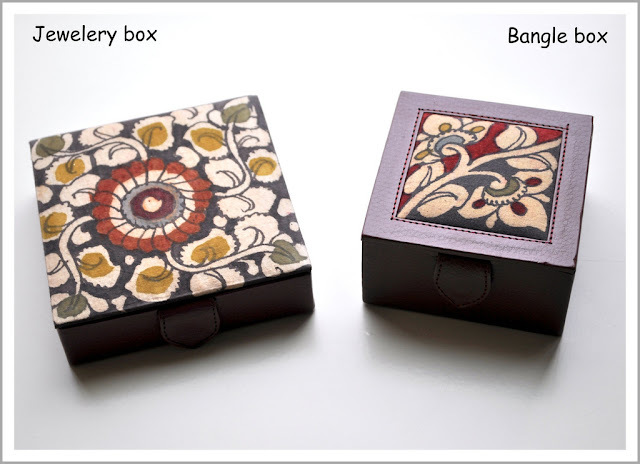 The Shop at My Dream Canvas has a limited edition collection of Kalamkari products. Visit my Facebook page for more details. 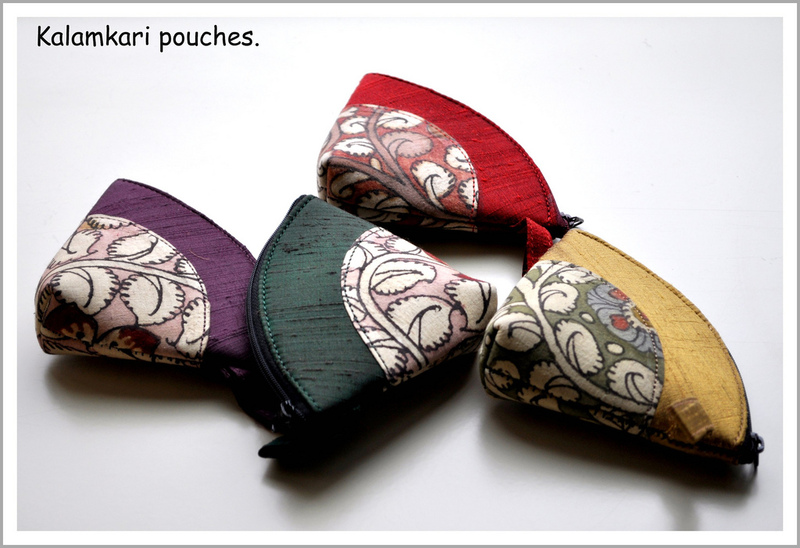 The cute little pouches come in a variety of colors. 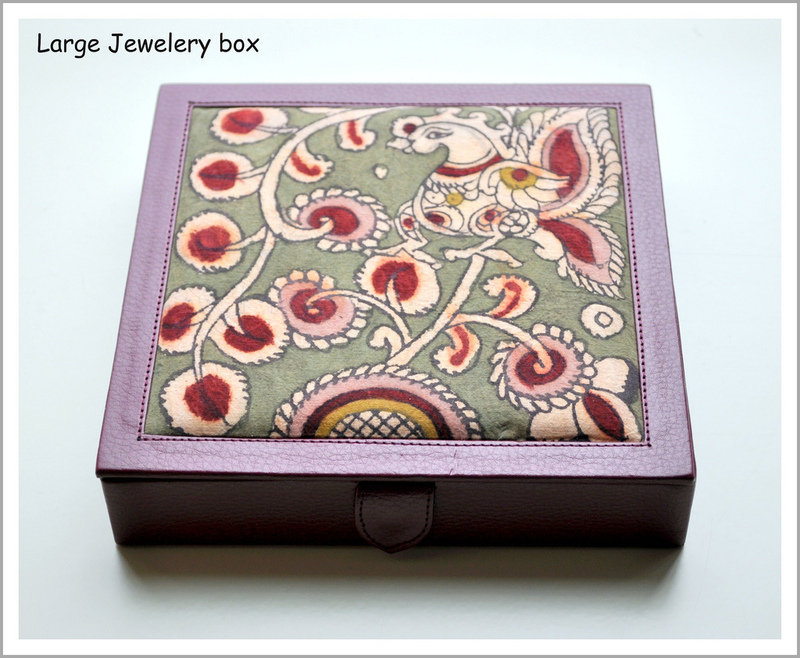 The boxes are handcrafted using leather and stunning Kalamkari motifs. Kalamkari refers to the Indian craft of painting natural dyes on cotton or silk. wao they are really beautiful and they do look durable too.